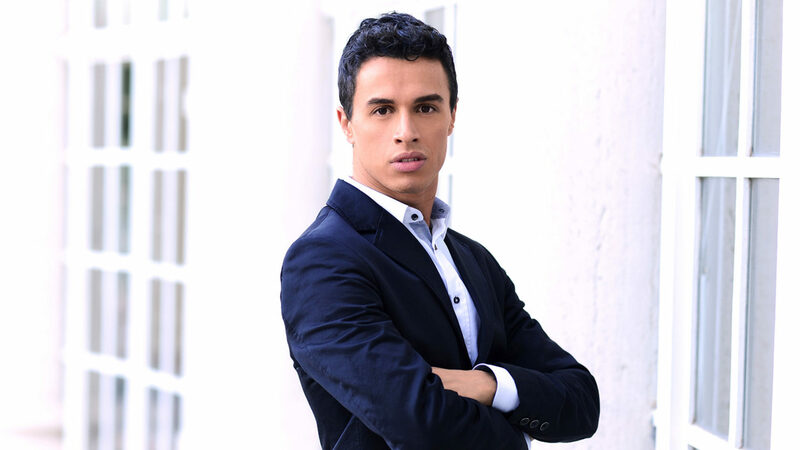 He studies singing in the prestigious class of Sara Mingardo at Conservatorio di S.Cecilia, Rome. His voice extends for more than three octaves (F1/F4). Singer and musical theatre performer, he mainly trained with the soprano Fabiola Ricci. He works as singing teacher and vocal coach specialized in the Anglo-American methods of teaching vocal technique for singers, actors, dancers and performers. He studies opera singing with international teachers such as Furio Zanasi and Valentina Marraffa. He applies the methods by Jo Estill after studying EVT – Estill Voice Training with Loretta Martinez and Ann-Marie Speed in London. He teaches public speaking in group workshops and individual lessons for very important companies such as Performance Strategies and Risorse della Mente, cooperating with Dr. Silvia Minguzzi, Director of Accademia Intelligenza Emotiva. For five years he worked as teacher and head of the singing department at the MTA- Musical Theater Academy, Rome, in the bachelor’s degree program. He was Raffaella Misiti’s assistant at LIM – Scuola di Musical and at Link Campus University in the bachelor’s degree program. From 2013 to 2016 he worked as project manager, head of singing department and teacher at Melody Music School, Rome. In 2017 he chooses to focus all his teaching activities on Centro Ottava, Rome, entering its prestigious department of singing. There he teaches vocal technique, pop singing, musical theater and stage presence. He’s among the authors of the books and dvds -La voce del cantante – vol. 6, 8, 10, 12, published by Omega Edizioni. Many voices of theater, Tv, discography and cinema have been entrusted to him. Here are just a few of them: Emanuela Ionica, one of the most important Italian dubbers who has worked also for Disney; Martina Biscetti and Giorgia Arena, protagonists in big musical’s productions. Finally he is the vocal coach of the international stars Arturo Brachetti and Alessandra Amoroso, winner of 30 platinum disks. Over the last ten years, he has done research and studied with the international expert of phoniatrics Professor Dott. Franco Fussi who invited him as the youngest lecturer in 2009, 2010, 2011, 2013 and 2015 at International Convention of Artistic Phoniatrics and Speech Therapy, in Ravenna. He gave lectures of vocal technique, singing didactics, musical theater, use of microphone for singers and evolution of belting in musical theatre. So he has become one of the main coworkers of Professor Fussi, teaching with him on a regular basis in several masterclasses and workshops. 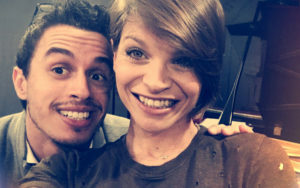 He’s also started working with the speech therapist Matteo Chioatto with whom he is developing a new and specific didactic system connecting singing and spoken voice year after year . 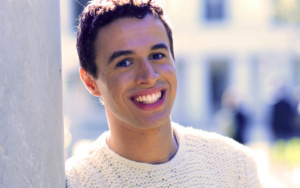 He studies at the Musical Theater Academy in Rome, then in workshops at the Royal Academy of Music of London, one of the most prestigious conservatories in the world, with Ann-Marie Speed, well known vocal coach of the West End. When he was seven years old he started to take piano lessons. He studied acting for seven years with Cecilia Mancia, direct student of Jacques Lecoq and applier of his method. Ms. Mancia directed him in some shows under the lead of the great Valeria Moriconi. From 1999 he studies singing with the most important Italian teachers: M. Mazzufferi, L. Martinez, G. Scalise, G. Di Michele, F. Palma, A. Orlando, R. Misiti, F. Ricci. He studies jazz singing with teachers such as Isabella Celentano, Roger Treece and with Martina Grossi and Bruno Tommaso at the famous Conservatorio G. Rossini, Pesaro. He studies and sings gospel with Reverend Lee Brown, performing in his concerts. After several workshops in the West End in London and at Pineapple, from 2002 he starts studying ballet and modern jazz with M. Strappa, I. Latini, C. Scuppa choosing the method of the Royal Academy of Dancing. He keeps on studying dancing with famous teachers such as I. Massei, F. Romana, A. Amendolegine, G. Rochelle, S. La Chance, A. Celentano, M. Paparo. In 2006 he focuses on improving his interpretation and communication skills studying with Simona Patitucci. FAME the musical. In 2005 and 2006 he plays the role of Schlomo in the long-running Italian tour of Fame – the musical, produced by Artistica Productions, directed by B. Fornasari and coreographed by S. Bontempi. Musical direction by E. Friello. GREASE the musical. 2006/2007. At the early age of twenty one he is in the Italian cast of Grease, directed by F. Bellone, coreographed by F. Miseria, musical direction by S. Manfredini and produced by Compagnia della Rancia. AMICI – Channel 5 Mediaset, Tv. M° Beppe Vessicchio was strongly impressed by him: Francesco is the only male singer who becomes part of the Amici cast, with the approval of the whole board of examiners in the most “spied” and popular Italian talent show. His voice is described as very expressive, eclectic, sweet and, above all, as a “musical theatre voice”. SALVATORE GIULIANO the musical. In 2011/2012 he returns on theatrical stages with Giampiero Ingrassia and Barbara Cola in this musical written by Dino Scuderi. Direction by G.Cicciò, coreography by A. Gatti, musical direction by D. Scuderi. BROADWAY MUSICAL ORCHESTRA. In 2014 he’s chosen by M° Marco Bosco as one of the voices of the Broadway Musical Orchestra, the first Italian symphonic orchestra performing musical songs. He shares the stage with Stefania Fratepietro. VOCAL ENSAMBLE OF SANTA CECILIA. 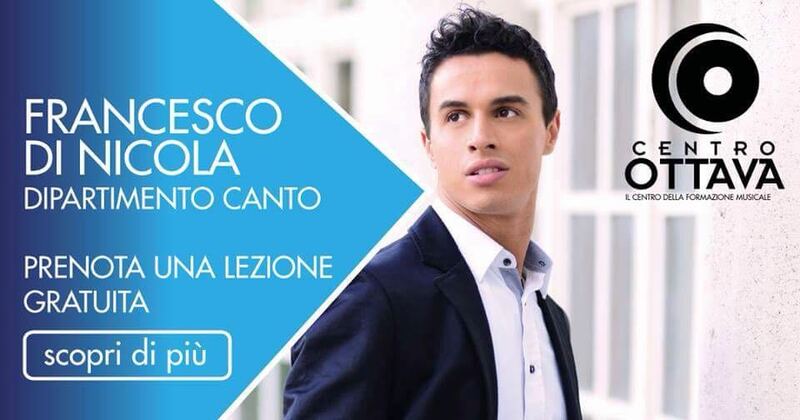 In 2014 he sings in the concert season of Conservatorio di Santa Cecilia, Rome. He’s one of the solo singers of the ensemble of renaissance and baroque music. DON TRASTULLO. 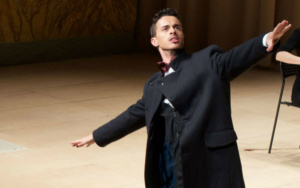 In 2015, with great success he is the main character of the new staging of Opera of the XVIII century by Santa Cecilia at the Teatro di Villa Torlonia, Rome. 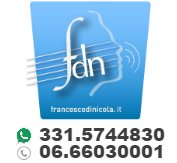 Direction: E. Giordano; orchestra conduction: L. Mangiocavallo; vocal direction: S. Mingardo. Orchestra Barocca Cecilia Antiqua. IL VOLO DELL’AQUILA. In 2016 he had the honor to work in Jesi, Italy, for the Pergolesi Spontini Foundation with one of the most important and known directors of the world, Franco Dragone. This happend within the Pergolesi Spontini Festival.